Learn How Red Combines Harvest Crops with Casey & Friends! Combines introduces children to the world of modern farm equipment showing how the most complex machines on the farm work to harvest crops. This book is filled with colorful action photographs, fun illustrations and a cast of cartoon equipment characters. 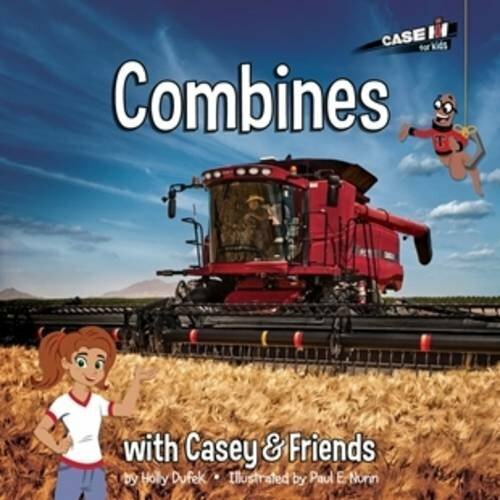 Narrated by Casey the farmer and Tillus the worm, Combines teaches readers how Cody and Kellie the combines of Happy Skies Farm harvest crops by gathering, separating, and unloading grain and corn. Learn about the science of farming and discover how their technology makes Cody and Kellie amazing! Recommended for ages 4-8. If you have any questions about this product by ERTL, contact us by completing and submitting the form below. If you are looking for a specif part number, please include it with your message.